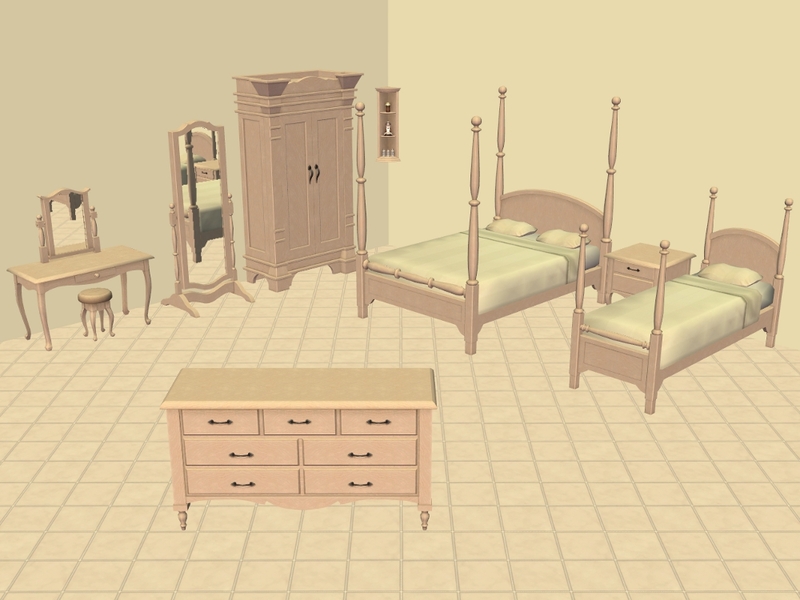 AL Wood and MALM recolours of the Seasons Backcountry Vanity, Home-Style End table, The Back Forty Armoire, The Crustikus Dresser by Earl Crustikus IV, A Not So Lonely Shelf, Rustic Glass and The Four Post Bed which also recolours The Single Bed a la Mode. I did not do these in the LACK colour and do not plan to. 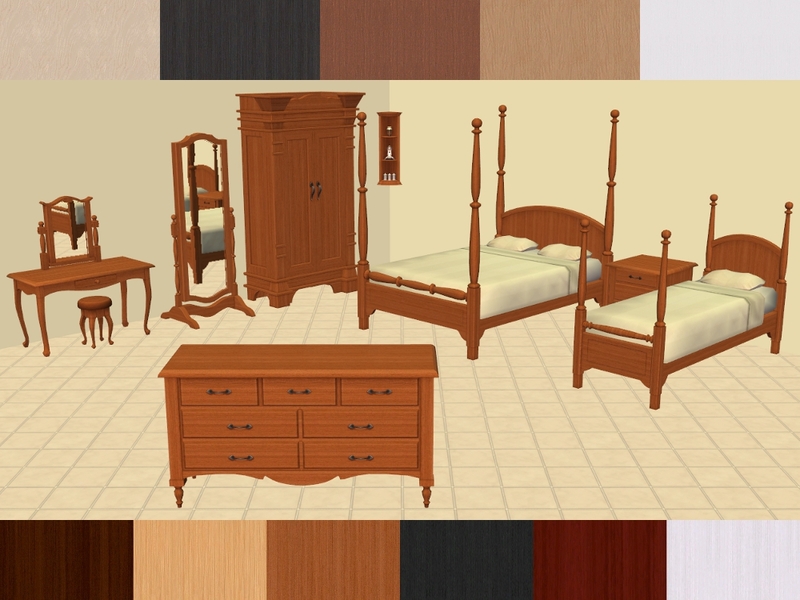 The other seasons stuff in AL Wood and MALM colours is on my to do list. 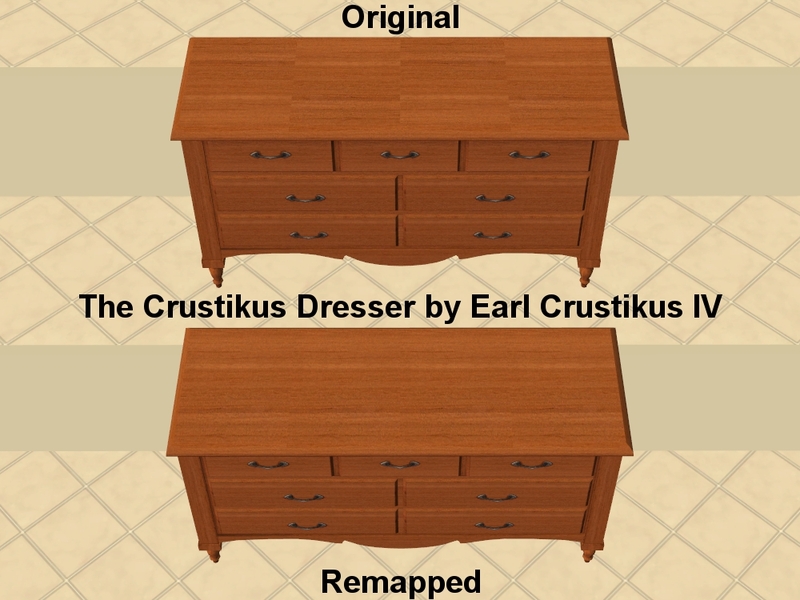 As I was recolouring the The Crustikus Dresser by Earl Crustikus IV I notice the mapping was a little off. 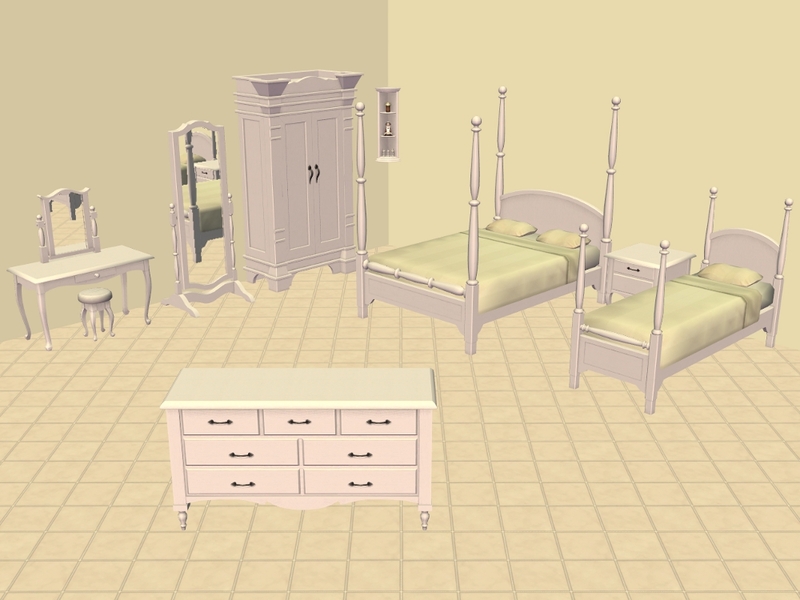 Thanks to sam&skye and a tutorial by celebkiriedhel I managed to make a DEFAULT REPLACEMENT, to fix the mapping. The Default replacement is included in both zip files and goes into your downloads folder just like everything else. These are not base game compatible, Seasons is required! Found: Buy Mode > Surfaces > Miscellaneous. Price: §90. Found: Buy Mode > Surfaces > End Tables. Price: §150. Found: Buy Mode > Miscellaneous > Dressers. Price: §240. Found: Buy Mode > Miscellaneous > Dressers. Price: §230. Found: Buy Mode > Comfort > Beds. 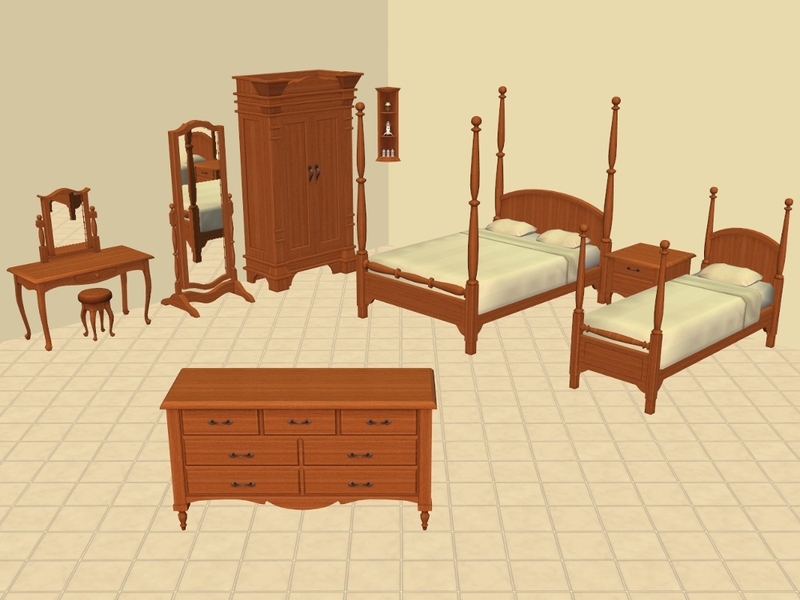 Price: §600. Found: Buy Mode > Decorative > Mirrors. Price: §460. Found: Buy Mode > Decorative > Sculptures. Price: §315. sam&skye for answering my plea for help. celebkiriedhel for the very easy to follow and understand tutorial. rena2sweet4u for requesting these recolours.